You can teach an old fox new tricks!! We were so delighted to announce that we now offer a fully canvassed bespoke service! 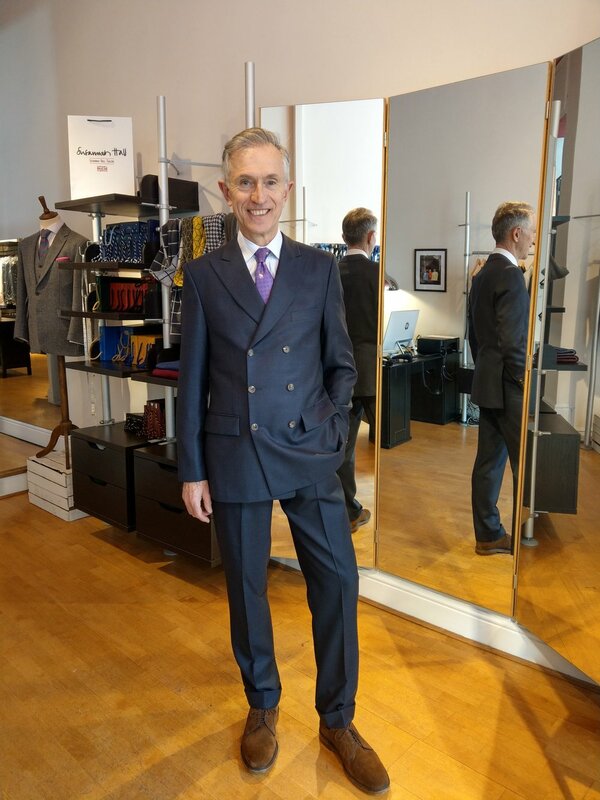 Here we have our friend and client David Evans aka The Grey Fox in his gorgeous new SH double breasted bespoke suit. He opted for this fabulous Dormeuil cloth which lends itself beautifully to this style. Just look at that drape! Our fully canvassed suits start from £1400 depending on the cloth you select. Why not pop in for a chat and see what we can do. If you would like us to make your suit for a specific occasion please make sure we have plenty time. Around 10 weeks is required when building a suit this includes time for fittings and alterations. Newer PostWho fancies an ice cream? ?